Just over a year has passed since FIFA disbanded its anti-racism task-force after announcing that it had achieved its aims. Yet, twelve months later it is clear racist discrimination continues unabated in the game. Indeed, stories of players being subjected to racist abuse by fans or opposing players are frequently covered in the media. However, it would be unfair to single out football – racist incidents are common in other sports. What is seldom considered though is the potential for discrimination by an athlete’s own teammates, and more worryingly, the acceptance and normalisation of such abuse. 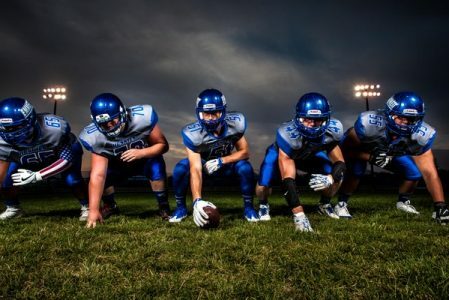 Our research conducted at the University of Warwick seeks to shed light on the implicit discriminatory language present in sports teams, the barriers this can create for incoming players and the resulting implications for overall team cohesion. By placing focus on the context of multicultural teams we have collected data in both professional and elite sports environments. The diversity that we encountered can be seen as being representative of modern sports teams on a whole. For example one such diverse sporting context is the English Premier League, where nearly two thirds of all players are non-British (BBC, 2016). Naturally, this results in extremely diverse team rosters with players confronted by differences in cultural background, language and ethnicity among others. Our research has explored and unveiled resulting issues with team interaction and integration. Indeed, athletes have been found to readily draw on ethnic differences as a means of making sense of their team context. Nevertheless, players in these teams are expected to become a cohesive unit in order to succeed. But, this is often easier said than done. Banter in team sports is a well-known phenomenon that is seen as both a tool for, and a manifestation of, team cohesion. It often occurs as light hearted, reciprocal joking among teammates. However, it is also one way in which racism and abuse can become normalised in a sports team. Observations from our research have shown that such ostensibly good natured banter has the potential to “cross the line”. More specifically, problems may arise when potentially discriminatory or even racist comments are disguised as harmless banter. And, as these banter attempts go unchallenged, they become accepted and normalised practice among team members. One possible consequence of such racial banter is the potential for the formation of sub-groups based on ethnicity, language or culture, which raises serious questions about the cohesiveness of the group. Clearly, such a context may present a serious barrier to new incoming players. This can be seen as further exacerbating what is already a challenging experience for athletes attempting to acculturate to the environment of their new team. Players joining a competitive group of individuals are expected to quickly find their place both on and off the pitch. However, research and recent incidents have shown that in many cases the poor treatment of incoming athletes is also a normalised aspect of team sport i.e. “it’s just the way it is”. In this context a new player offended by racial banter could be alienated on account of simply not being ‘in on the joke’. Together, the normalisation and acceptance of racial banter and ill treatment of new players poses an obvious threat to team cohesiveness, and consequently, team performance. We would therefore argue that it is of paramount importance to encourage recognition of such intra-team behaviour as a potential manifestation of deep rooted prejudice. Indeed, for those of us wishing to change the current state of play, the first step could be to highlight how a ‘harmless’ bit of banter could be anything but that. How do players communicate, how do incoming players adjust to diverse team environments, and what are the implications for team cohesion? Daniel Clayton is a PhD candidate at the University of Warwick. His research interests include: acculturation in sport; team cohesion and cultural identity. He is also member of the Sports Culture and Communication Research Group. Solvejg Wolfers is a PhD candidate at the University of Warwick in Coventry, UK. Her main areas of interest are sports discourse, the multiple uses and functions of humour, and the discursive processes involved in identity construction. She is also member of the Sports Culture and Communication Research Group. Next PostSPLINTERED SOCIETY: Do interculturalists have a role to play?